Prominent & Leading Manufacturer from Delhi, we offer crystal photo frame, personalized printed mugs, personalized printed t-shirts, sublimation printings, crystal printed products and customized wall clock. With the aim getting maximum clients’ satisfaction, we are engaged in offering a wide assortment of Crystal Photo Frame. Our photo frames are coordinate well with any type of interior decor and are available in various standard and customized shapes and designs. 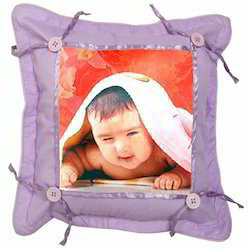 Offered photo frames are checked in terms of quality so as to supply a defect free range. As well, these photo frames are perfect illustration of the flawless Indian craftsmanship. 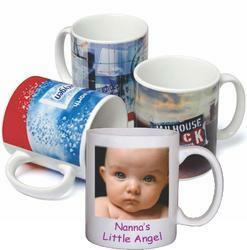 With the help of our skilled professionals, we are offering a wide array of Personalized Printed Mugs. Our printed mugs are known for their clear prints and used for printing mugs in various designs and colors. These printed mugs are manufactured by our workforce using best quality material as per the trends of market. Offered printed mugs can be availed from us at reasonable price in quality packing within a given time frame. With 40+ Regional office including Agra, Ahmedabad, Aligarh, Bangalore, Bathinda, Bhilwara, Bhopal, Bhubaneshwar, Chandigarh, Chennai, Kochi / Cocchin, Dehradoon, Ghaziabad, Guwahati, Gwalior, Haldwani, Hissar, Hubli, Hyderabad, Indore, Jaipur, Jalandhar, Jammu, Jodhpur, Kanpur, Kolkata, Kota, Lucknow, Ludhiana, Moradabad, Mumbai, Nagpur, Patna, Raipur, Rajkot, Ranchi, Salem, Siliguri, Srinagar, Vijayawada with are serving industry with Quality and Innovative Products. 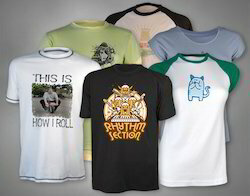 Our firm is specializes in providing our prestigious clients with an impeccable array of Personalized Printed T-Shirts. The offered printed t-shirts are designed and stitched with utmost perfection by utilizing the finest grade fabrics in line with the latest fashion trends under the stern direction of our adept designers. These printed t-shirts are high on demand among customers owing to their unmatched quality & finish. Our t-shirts are accessible in a mixture of colors, outlines and company logo. Backed ourselves with sound facilities and modern machines, we are engaged in offering best quality assortments of Sublimation Printings. These products are available with sublimation image coatings. They are used to make cushion covers. They are personalized with the images and look very unique too. The cost of this array is very cost effective. We take a huge pleasure in introducing our customer’s best and excellent quality assortments of Crystal Printed Products. These products are often demanded and used in gifting purpose. These gifting products are available with the personalized picture on the crystal and look very amazing and heart touching to the getter. These gamuts are cost effective and very nominal in rates too. With utmost sincerity and hard work, we are engaged in offering best quality assortments of Customized Wall Clock. These wall clocks are available in many shapes, designs and colors too. 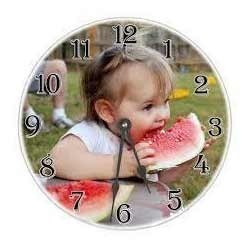 These clocks are available in customization options too. These clocks are highly demanded for gifting purpose too. They are unique and very loved for its uniqueness. Looking for Personalized Products ?